SEAVIEW POINT is located at 15 AMBER ROAD in district 15 (Katong, Siglap, Tanjong Rhu) of Singapore. 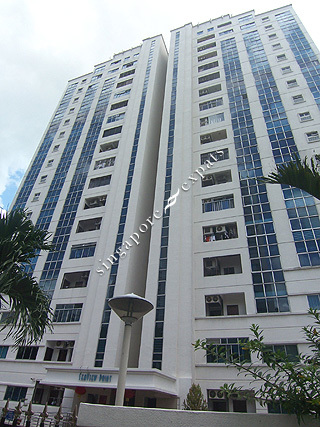 SEAVIEW POINT is a Freehold Condo development consisting of 34 units. SEAVIEW POINT is completed / TOP in 1994 (estimated), developed by DEVCO INTERNATIONAL PTE LTD.
Educational institutions like CHATSWORTH INTERNATIONAL SCHOOL (EAST), CANADIAN INTERNATIONAL SCHOOL (TANJONG KATONG), ETONHOUSE INTERNATIONAL SCHOOL, TANJONG KATONG PRIMARY SCHOOL, TAO NAN SCHOOL and HAIG GIRLS' SCHOOL are near to SEAVIEW POINT. SEAVIEW POINT is accessible via nearby DAKOTA, MOUNTBATTEN and PAYA LEBAR MRT Stations. This is a hidden gem. The interior is excellent, and hard to find nowadays in newer projects - large rooms, lots of windows/light, generous kitchen and yard/storage. Another plus is the serenity/privacy with only 2 apartments per floor. Windy, good ventilation and light. Sea views and/or greenery.